The Communist President Gottwald is in his fourth year in power. He might have reason to be happy, but no, being under the shadow of the Soviet dictator Stalin means being in constant fear for one’s life. 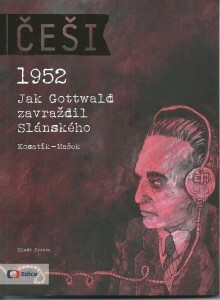 Czechoslovakia too needs to organize its own political show-trial, so as to leave nobody in any doubt that in a totalitarian regime nobody’s life is safe, not even that of the highest officials. Who will end up on the scaffold in Prague – will it be Gottwald, or his closest friend and the second man of the Party and the State, Rudolf Slánský? One of the darkest stories of modern Czech history, quite devoid of positive heroes.